Honey Bee Wood is a new five acre woodland planted in 2017 and is home to the Forest of Hearts apiary, with five bee hives. We planted over 1000 trees in one day and nearly one hundred volunteers from the local community and companies gave up their time to plant the wood and a new hedge. The trees were donated by The Conservation Volunteers, OVO and The Woodland Trust. 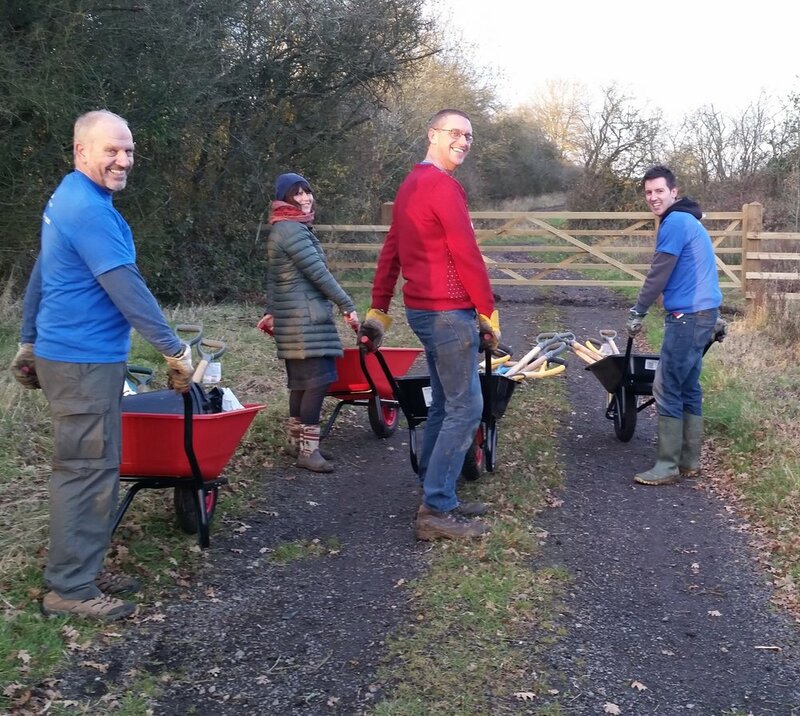 Tools and Wheelbarrows were donated by Buildbase, Stratford upon Avon. The trees include hornbeam, alder, English Oak, hawthorn, blackthorn, willow, dog rose, beech and hazel and the wood will provide a wonderful ecosystem for our bees and wildlife. We were delighted to be joined by actor David Bradley who planted trees to support the project.